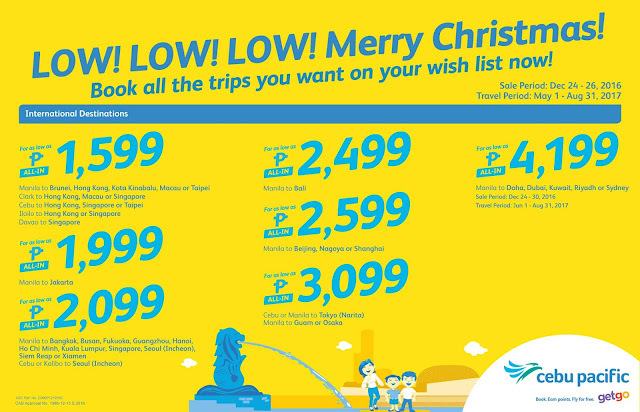 Check out Cebu Pacific's Low! Low! Low! Merry Christmas Seat SALE happening now until December 30, 2016 (or until seats last)! 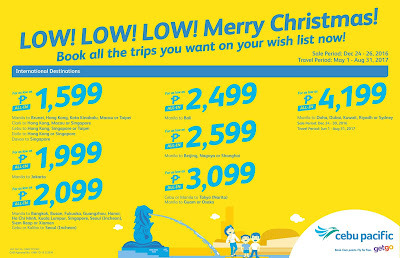 Enjoy airfare as low as P1,599 on select international destinations!